You may heard about refrigerant in discussions about air conditioning but what it does and why it’s important to your air conditioner is less understood. Simply put, refrigerant is a chemical needed to condition your air. It’s what keeps your air conditioning in Burbank operating properly. An air conditioner conditions the air. It does not do this simply by blowing cold air into a hot living space. What your air conditioner does is remove the hot air and some humidity from a space. Then it circulate the air through your air conditioning system, release the heat and return the cooled air back into your property. How does this happen in one system? It happens through its components and the refrigerant. Because of its physical properties refrigerant works in an air conditioner. it can fluctuate between a liquid and a gaseous state, a process that is necessary for the cooling cycle. When refrigerant is in a cool liquid state, it absorbs the heat from your home, turning it from a cool liquid to a warmer gas. 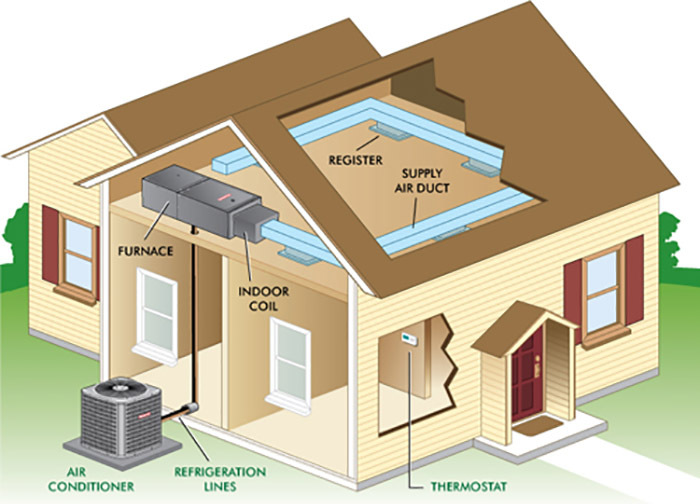 Warm air blows over the cool coils at the same time, creating the cool air that gets blown into your home. The refrigerant moves on to the compressor where it’s pressurized into a hot, high-pressure gas. Then it releases the heat in the condenser coils and begins to cool down again, restarting the cycle. The refrigerant is not the only working component in the system for sure and it doesn’t do this on its own. The compressor, condenser and evaporator also take part in the process. They all are involved in this process of gathering heat, releasing it and creating cool air recurs until your home reaches the programmed temperature. One thing to note about your air conditioning system is that it is a closed system. 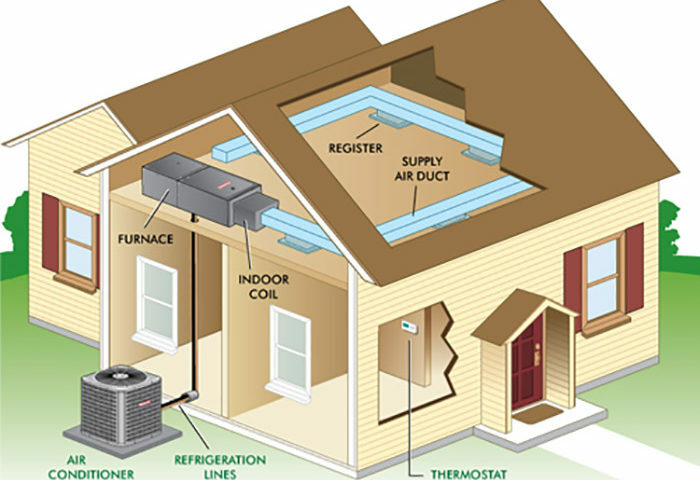 Moreover, it’s drawing electricity from your home’s power system, and it is self-contained, including the refrigerant. This means that if your air conditioning system has low refrigerant, there is a leak somewhere in the system. How does it happen? Your air conditioning system doesn’t use refrigerant the way home heating uses oil. In this case the level stays the same, except when a leak occurs. If you do suspect a leak call a specialist to provide you the service. However refrigerant leaks are not easy to find and should be handled by a professional. Jupiter Air Conditioning and Heating is the service provider you really need. The best way to keep your refrigerant and your air conditioner healthy is to schedule regular maintenance. An expert at Jupiter Air Conditioning and Heating will check the refrigerant to ensure that it is at the right level during a routine maintenance check and will see if there are any leaks. If anything is wrong, he/she will repair it before it can possibly create a bigger repair. You want to schedule an appointment or just have questions about your refrigerant? Turn to Jupiter air Conditioning and Heating. Let us help you keep your air conditioning in Burbank healthy!